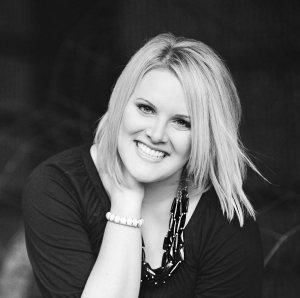 Life of Meg: Mingle Monday Blog Link-Up + Giveaway! My favorite was the #likeagirlcampaign! Hi Meg, I'm new to this link up, so thank you for hosting. I didn't think that the Superbowl Commercials were very impressive in general, but they were star studded. I like the one with the Today Show hosts with some embarrassing footage from the past for the BMW commercial. We are still trying to catch up on the commercials in Australia. They show the game, but not the commercials. Bummer. My family has a massive Super Bowl party every year and I can only imagine when that Chevy commercial came on and the screen cut out our entire house probably started throwing things at the TV. LOVED the Budweiser commercial :) New to the linkup, enjoying it!! I liked the Fiat one! #likeagirl and Coca-Cola for sure! I loved the Like a Girl commercial. Rick and I also got a giggle out of the Sprint commercial with the goat. Even after watching it a million times on the Taylor Swift video, it still makes us lauch. #werweird ha! I loved the Like a Girl commercial !! Hello! I am new here, just discovered you beautiful blog today. I love it! I didn't watch the Superbowl so I don't have a favorite commercial :-)! Like a girl, all the dad ads, and the Budweiser lost puppy! However, most of the commercials were underwhelming this year. Sigh. I'm afraid to say I didn't watch the Superbowl - I'm British and honestly, we just don't understand it here! Plus it was on at midnight, so there's that. Sounds like I might have to try and find some of them on youtube, though! I didn't watch, I'll have to check out one of those recaps to see the best. The peanut butter factory one with the goat was hilarious!! !